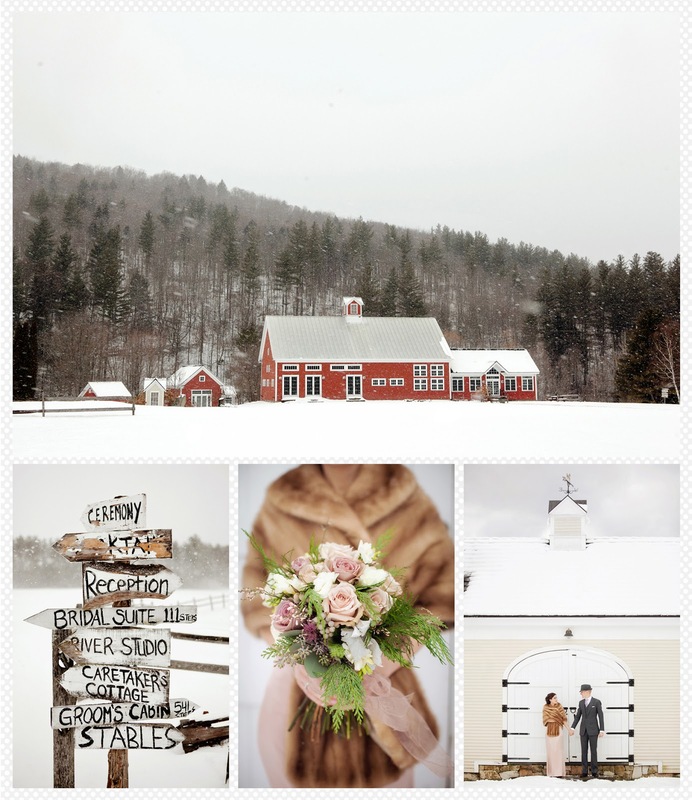 There are days in winter that are magical, with sparkling snow hugging the ground and snow-kissed tree branches that seem to dance in the crisp, cold air – the perfect backdrop for an intimate wedding at Vermont’s Riverside Farm. In this month’s print edition of Martha Stewart Weddings, such a celebration is featured: the wedding of Jennifer and Tyler. You can also find a short excerpt of the story here. Not only is the beautiful Vermont snow the perfect backdrop, but snow also has a significance in Jennifer and Tyler’s lives. The two met at a Halloween party where Jennifer was dressed as Snow! “The quality of time shared with our friends and family was the most important element of our wedding. For the convenience of all, we knew we wanted to have the ceremony and reception in the same place so nobody would have to waste precious family time in the confusion of moving from one place to another. Additionally, we wanted a non-denominational but majestic space that we could make our own. We both felt strongly about the symbolism and ceremony of the event and we wanted the building and location to echo this. These requirements led us to search for historic buildings and, of course, beautiful barns. As part of this intimate celebration, Jennifer and Tyler infused many personable and intimate pieces of themselves into the event. From candles that lit the room, to all of the DIY projects and hard work they put into it’s creation, it was surely a wedding to remember, especially their surprise first dance. Tyler was determined to perform the last dance from the movie Dirty Dancing as a gift to his mother, who had once been a professional ballerina. Neither one of them had any formal dance training, so they signed up for dance lessons. They took lessons once a week for 5 months, and in the last 2 months, practiced every day. Jennifer even had to purchase a separate dress to dance in, as well as ballroom shoes so that she would have the proper footing. As they performed their surprise first dance to their guests, everyone cheered, and Tyler’s mother was teary eyed. She knew how much effort they had put forth to make that dance happen. These details, and so much more, are what made Jennifer and Tyler’s wedding extraordinary and incredibly special. The personal touches, thought, and energy behind the wedding did not go unnoticed—one of the reasons the wedding was featured in Martha Stewart. 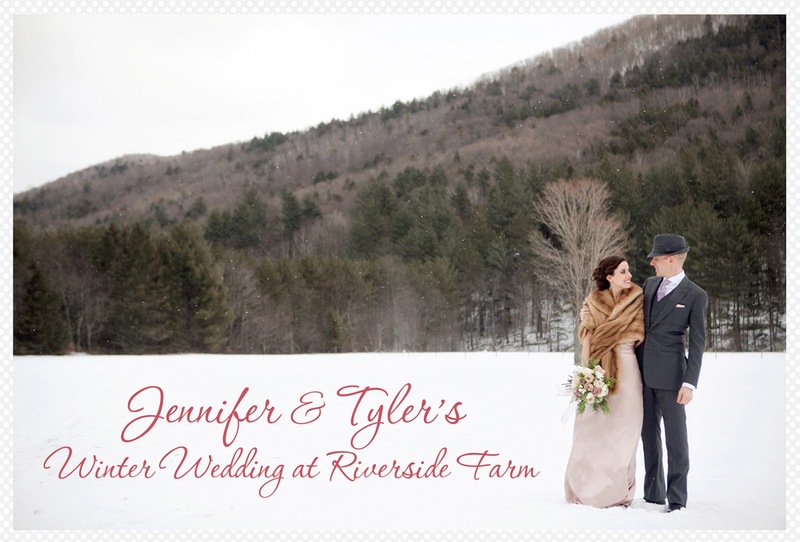 Jennifer and Tyler came to Riverside Farm for its character, location and charm but it was the couple, their family, and friends that brought the spirit and joy to the property that makes a truly unforgettable experience. We are honored to have been part of their wedding day and wish them a lifetime of happiness together. 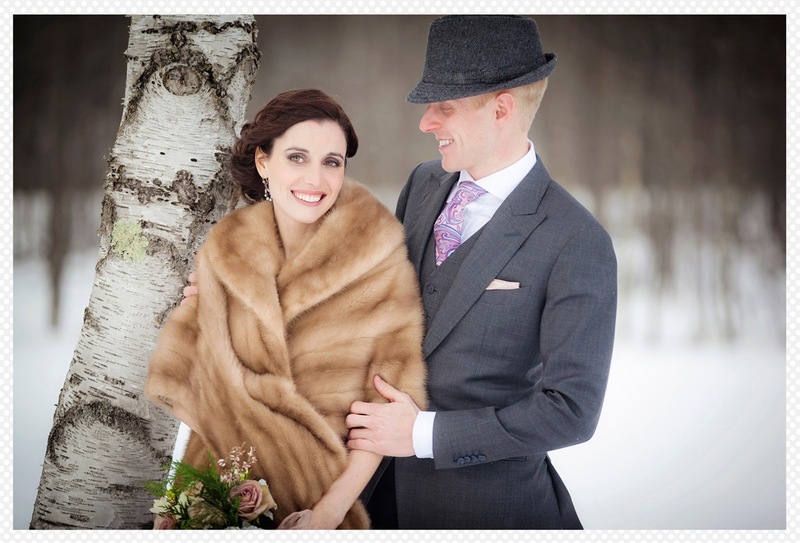 For more information on hosting your winter wedding at Riverside please visit our contact page.